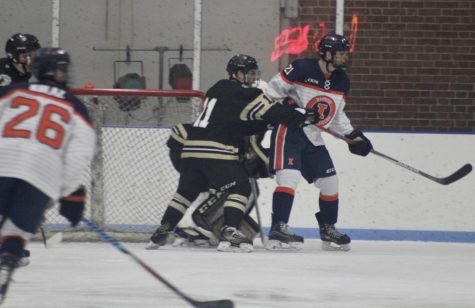 The Illini club hockey team suffered back-to-back losses in heartbreaking fashion to Lindenwood. 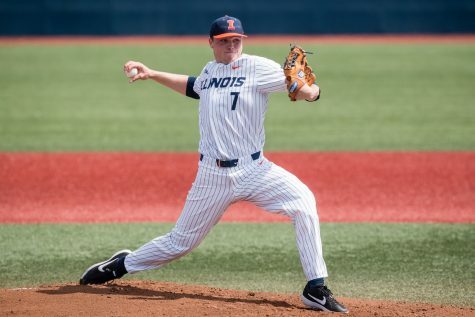 In what was some of the team’s best play this season, Illinois did what most teams normally fail to do against Lindenwood: remain in a position to steal the win. 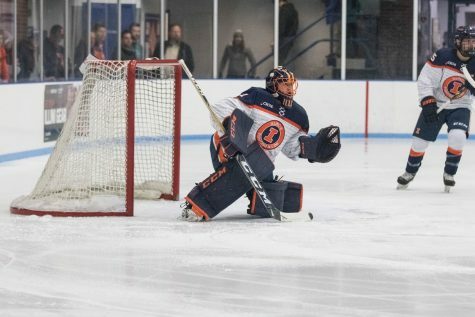 The Illini looked like ACHA runner-ups in Friday’s matchup against the Lions. 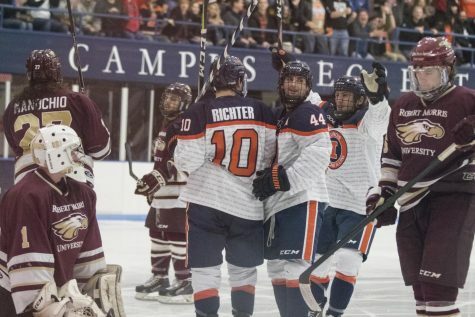 Contrary to when these teams first met, the Illinois defense remained tight against the best offense in the ACHA. Despite an exchange of penalties, neither team scored by the end of the first. Lindenwood scored the first goal of the evening after a penalty on senior defender Jack Graham with 11 minutes remaining in the second. 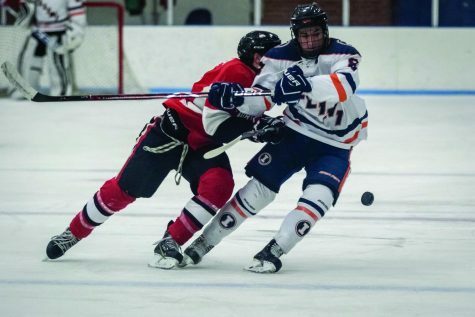 The Illini tried to create openings to score, but after a slashing penalty from Evan Sabo with four minutes remaining, followed by a hooking penalty on freshman defender Paul Prikos, the Illini went into the third period down 0-1. The Lions opened the third with another goal two minutes in to push their lead to 2-0. 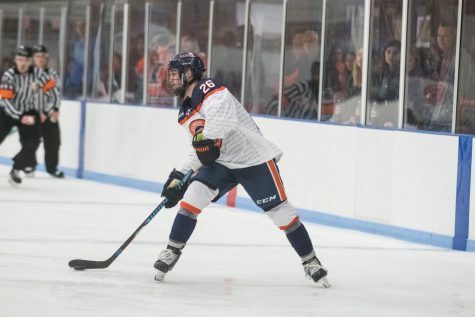 Thomas Kolaz scored the first goal for the Illini only a minute after the Lions second, giving Illinois some renewed energy down the stretch. With 17 minutes remaining, both defenses remained deadlocked. With neither team able to capitalize on the other’s mistakes, the score remained 2-1 until the final buzzer. The Lions walked away with a win. The defensive battle resumed Saturday night for most of the first period. With just under three minutes left, a would-be goal from the Illini was waived off for high sticking by the net, costing Illinois the opportunity to take the lead at the end of the quarter. A couple of good chances were created, but once again the quarter would end with the teams tied at zero. 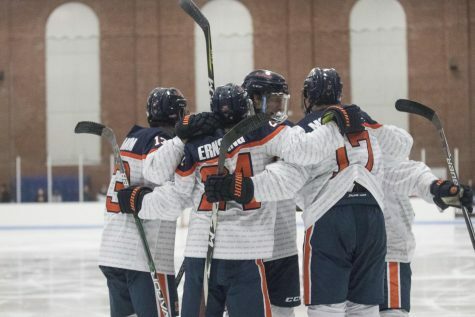 The Illini maintained their composure after the call and were first on the board Saturday after Thomas Kolaz scored off of a feed in front of the goalie by Bobby Ernsting in the second to take a 1-0 lead. The Lions responded with a flurry of attacks and countered with a goal from senior forward Alex Kalau with 11 minutes to go in the second. Both squads took turns controlling the puck but went into the third period tied at one goal apiece. In a quick scramble, Lindenwood scored and took a 2-1 lead just 30 seconds into the third period. 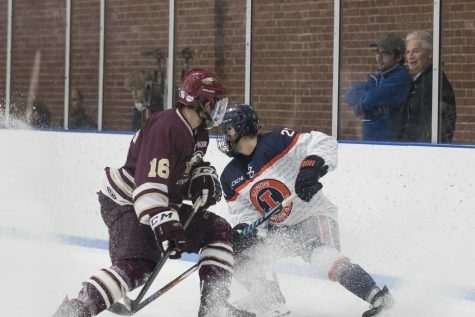 As they continued their attack on the Illini’s side of the rink, the Lions scored another goal to extend their lead to 3-1 with 15 minutes to go. After a six-minute stalemate, senior Stephen Quinn gave the Illini new life with a goal to cut the Lions lead to 3-2, but it was not enough. 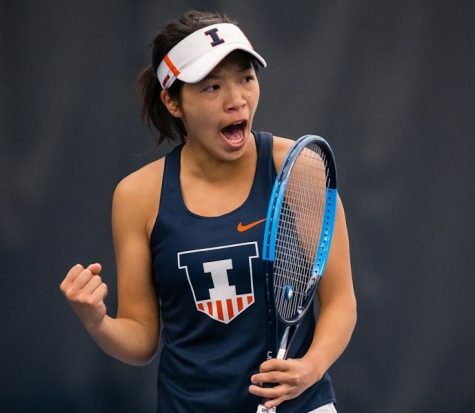 With the win, the Lions remain undefeated, while the Illini dropped to 13-11.